Titanic Experience Cobh is located in the original White Star Line Ticket Office in the centre of Cobh town (formally known as Queenstown) the departure point for the final 123 passengers who boarded the Titanic. 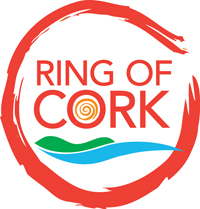 Multi-media exhibition featuring the famine, emigration from Ireland and the history of Cork Harbour. Sirius Arts Centre is the only arts centre in East Cork and has become an integral part of the cultural life in Cobh, East Cork and the Harbour Area. A statuesque building situated on a hillside overlooking the town centre and Cork harbour, houses the famous 49 bell Carillion, the largest in Ireland and Britain. The graveyard, located outside the town of Cobh, contains the remains of 193 victims of the torpedoed RMS Lusitania passenger ship along with others, most notably Jack Doyle. Guided walking tours of the Titanic Trail take place every day at 11am leaving from the Commodore Hotel in Cobh. A small place rich in wildlife, over 140 species of bird have been recorded in the area. Located on Fota Island just ten minutes from Cobh, with over 80 species of wildlife to see. Fota House, a superb example of Irish Regency style architecture, was originally built as an 18th century hunting lodge. Fota Arboretum and Gardens are of international importance, containing one of the finest collections of rare and tender trees and shrubs grown outdoors in Ireland and Britain. Barryscourt Castle, the seat of the Barry family during 16th Century, is located near the town of Carrigtwohill. The castle has been extensively restored with fittings & furnishings reinstated. Cobh and Harbour Chamber is the prime business representative organistion in the town of Cobh, the Great Island and the Cork Harbour. 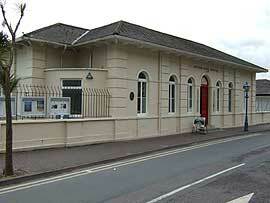 The Chamber also operates the Cobh Tourist Information Office. Both are located in the Old Yacht Club Building. home to the first Yacht Club in the world, the Royal Cork Yacht Club. What to do in Cobh, where to stay and where to eat. Fota Island Resort is set in a 780 acre private island, amidst 3 championship golf courses and splendid woodlands. Holiday cottage rentals through Ireland and the UK. Compare prices for nearby hotels and accommodations in Ireland.